Meet new friends and reunite with past Starr travelers on this special Branson, MO Birthday Bash that features live theater, unique attractions, casino fun, Ozark cuisine, museums, and so much more. Every Starr trip includes deluxe motorcoach transportation and overnight accommodations. Join us for a high energy party as we revisit the days of the British Invasion, Motown, California Surfin', and the Age of Aquarius with over 100 songs, 100 costume changes, a special tribute to our veterans and some classic 50s tunes! Featuring music from The Beatles, Beach Boys, Stevie Wonder, 5th Dimension, Sonny & Cher, The Four Seasons, Elvis Presley, Roy Orbison, Dion, The Rascals, The Temptations, The Supremes, Mamas & Papas, The Monkees, Paul Anka, Petula Clark, The Association, The Coasters, Lesley Gore & many more! Exclusive private dinner performance by the Lennon/Cathcart family featuring Branson favorites Gail Lennon, Mike Cathcart (son of Peggy Lennon from the Lennon Sisters), and Bill Lennon (of the Lennon Brothers), the trio will perform the music of Crosby, Stills & Nash; The Beach Boys; Peter, Paul & Mary, and many more with surprises in store as well! Call it a "ride on the wild side," if you will. Step aboard comfortable, open-air trams and explore the beauty of Dogwood Canyon on a 2-hour Wildlife Tram Tour. You'll wind through the canyon floor, past towering bluffs and waterfalls, making a stop at the Glory Hole (a magnificent blue-green pool where some of the area's largest trout reside). Then cross the Arkansas border where your tram may mingle with herds of American bison, elk, whitetail deer and Texas longhorn. 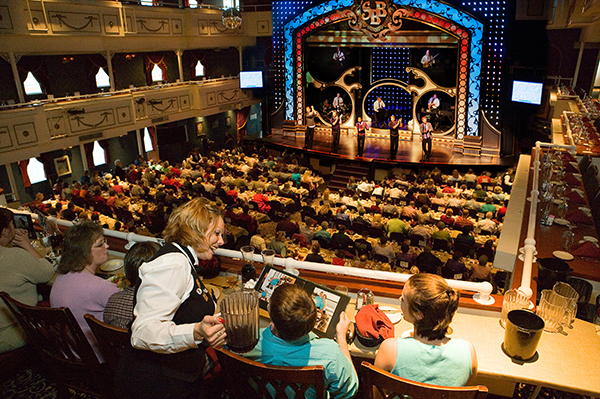 Back in 1967 the Presleys built the first LIVE music theatre in Branson, Missouri. 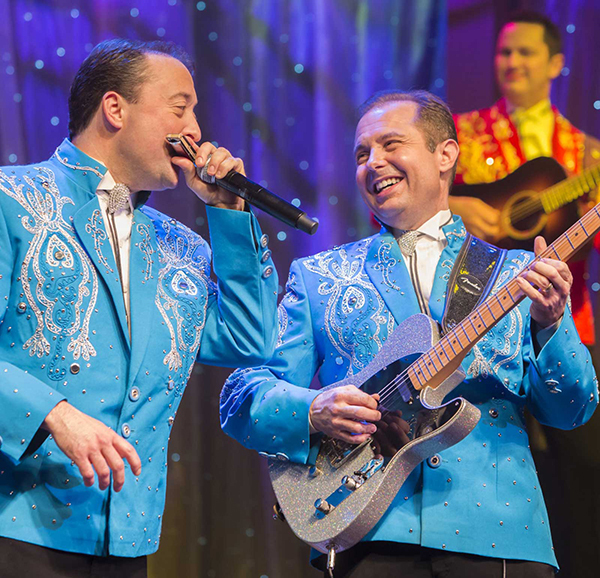 Today, Presleys' Theatre is a Branson Landmark, and the Presley family is still here entertaining audiences with a one-of-a-kind mix of Country Favorites, Southern Gospel, and Hilarious Ozarks Comedy. See some of your favorite songs performed by Branson's First Family of Entertainment, the Presleys! Expect to see the Titanic in a whole new light. Unlike traveling exhibits, Titanic Branson is a permanent two-story museum attraction shaped like Titanic herself. This astounding, signature building was built half-scale to the original. Towering 100 feet above Country Highway 76, it holds 400 priceless artifacts in twenty galleries. The structure is anchored in water to create the illusion of Titanic at sea, and the 90-minute, self-guided tour is designed to give guests the sensation of being an original passenger on Titanic's 1912 maiden voyage. Join the Showboat's master of ceremonies as he presents the newest sensation in live stage performance. Enjoy the power of music from the 60s to today performed by a talented troupe of singers alongside our featured 4-piece band. Relive great soundtrack movie moments for a throwback journey to the days of Risky Business, Titanic and Ghostbusters. Plus, the must-see spectacle of rhythm and footwork from the Showboat's Deckhands, presenting their own brand of nautical percussion. As you're entertained, you'll enjoy a delicious 3-course meal prepared fresh in the ship's galley and take in beautiful views of Table Rock Lake on your 2-hour cruise. Clay Cooper's Country Express is a high-energy show full of singin', dancin', lots of laughter, and great music! From the moment the curtain opens, you can see the personalities shine through this cast of 20 veteran entertainers as they sing their way into your hearts, dancin' that gets your toes a tappin', and comedy that'll crack you up till you cry! The cast is unstoppable when it comes to creativity and diversity. Clay Cooper's Country Express celebrates all styles of music including classic country, contemporary country, a little rock n' roll, gospel, and patriotic. Afterwards, enjoy a private meet and greet with the cast! 200 years ago, Lewis and Clark set out on their great journey. 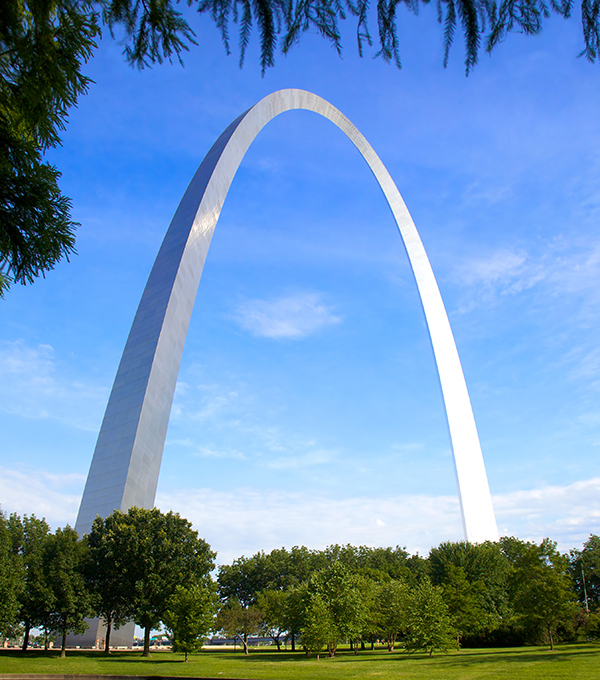 Today, the Gateway Arch stands as the iconic monument symbolizing the westward expansion of the United States. If you've never seen the grandeur of this architectural wonder or the breathtaking views of St. Louis 630 ft. in the air - now is your chance. Welcome to Anheuser-Busch in St. Louis, Missouri! Your tour will guide you through a blend of rich brewing heritage, state-of-the-art technology and extraordinary architecture. 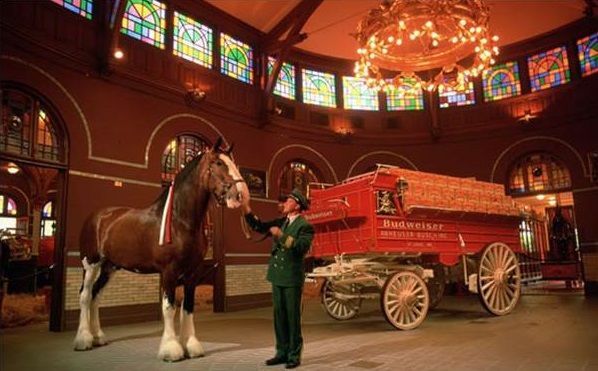 While on tour, you will see and learn about the world-famous Budweiser Clydesdales at our historic stables built in 1885. These majestic giants have appeared in some of the most memorable Super Bowl commercials over the years and represent a special part of Anheuser-Busch's history. If you are 21 years of age or older, sample our products in the Hospitality Room. Choose from a variety of brews including our seasonal brands and new products. The tour contains a considerable amount of walking with visits to areas both indoor and outdoor. It is ADA accessible. The Hampton Inn Cambridge Hotel is conveniently located off I-70 and overlooks the hills of southeast Ohio. Hot Breakfast is served daily. The hotel is also located near several area restaurants. Guestrooms include microwave, mini-refrigerator, coffee maker, iron/board, and hair dryer. Continental Breakfast is served daily, Bob Evans, Ruby Tuesday's and The Forum are within walking distance to the hotel but on a hill. There are also several other restaurants in the area. Guestrooms include coffee maker, hair dryer, iron/board, microwave, and mini-refrigerator. Three historic buildings house the beautifully restored Drury Plaza Hotel at 4th & Market in downtown St. Louis. Step outside for a breathtaking view of the landmark Gateway Arch. The hotel features an indoor pool, whirlpool & fitness room. In addition to serving complimentary Quikstart Breakfast, the hotel also has 2 restaurants for dining and is within walking distance to several restaurants. Free evening beverages & snacks are served daily in the lobby from 5:30pm-7:00pm. Guestrooms feature hair dryer, iron/board, coffee maker, microwave, and refrigerator. With majestic views of the Ozark Mountains and a central location just off the Highway 76 Strip, Radisson Hotel Branson offers access to the best of Branson's countryside and the most popular parts of the city. The hotel features an indoor/outdoor pool and fitness center. Wildwood Bistro serves breakfast, lunch & dinner daily. Time Out Sports Lounge serves your favorite beverages. Guestrooms include mini-refrigerator, coffee maker, and hair dryer. accommodations, gaming and entertainment in the St. Louis metropolitan area. This all-suite AAA Four-Diamond hotel features sunken living rooms with floor to-ceiling windows showcasing views of the Missouri River on one side and the historic city of St. Charles on the other. The Resort includes a Fitness Center and Indoor/Outdoor Pool. There are several dining and entertainment options within the complex. Guestrooms include in-room safe, coffee maker, and complimentary WiFi.